We're taking it back to elementary school with this playground classic! 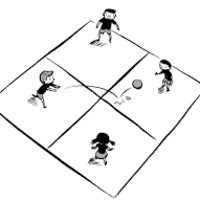 Join us for foursquare played tournament style. Registrations are due on by 5:45 p.m. on April 11. The tournament will begin at 6 p.m. on April 11. Register via IMLeagues.